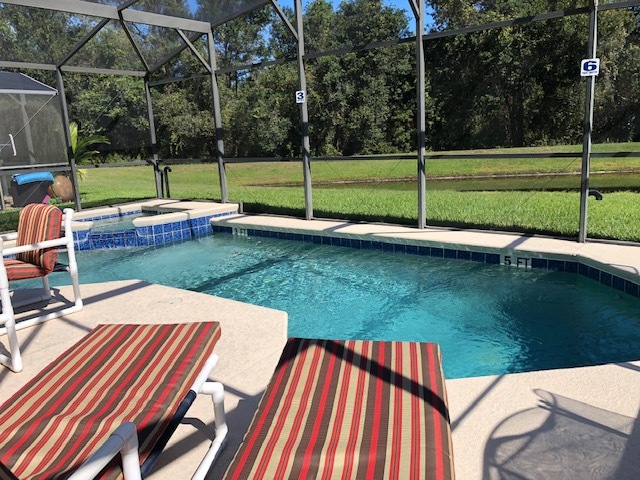 This charming 3 bedroom, 3 bathroom vacation villa with private pool is the ideal base for visiting all the attractions in the Central Florida area. 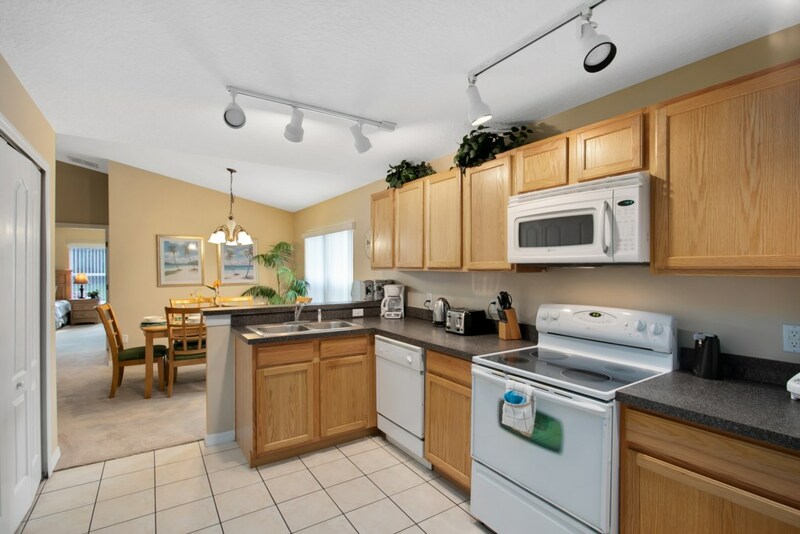 Located in the Sandy Ridge community, in Davenport. 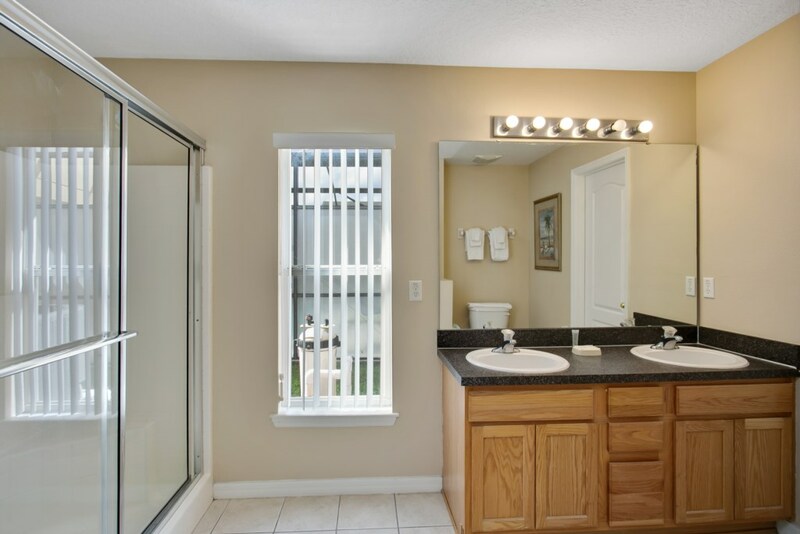 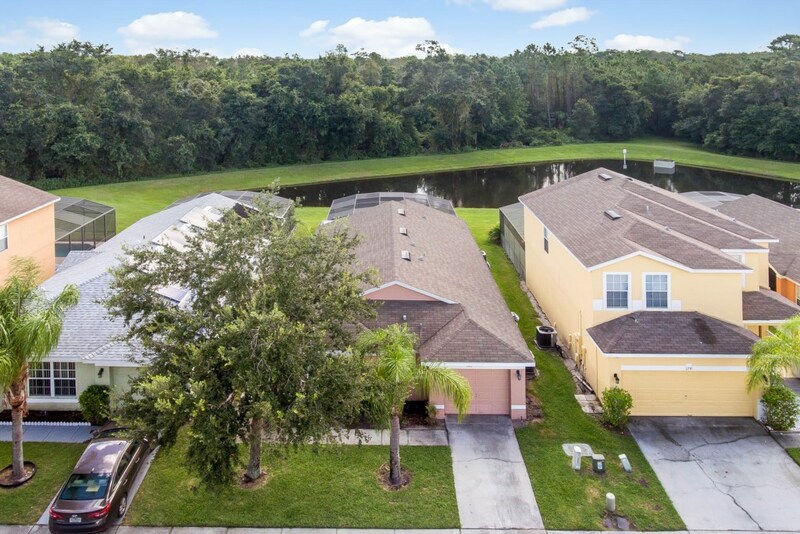 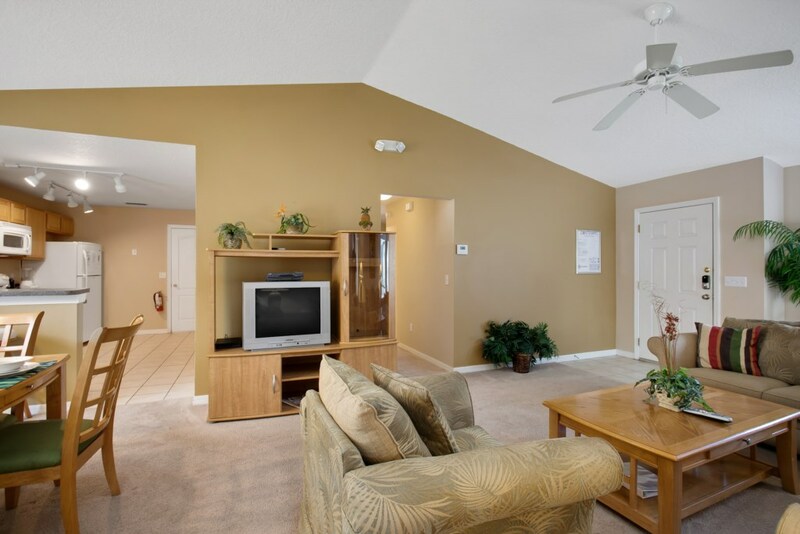 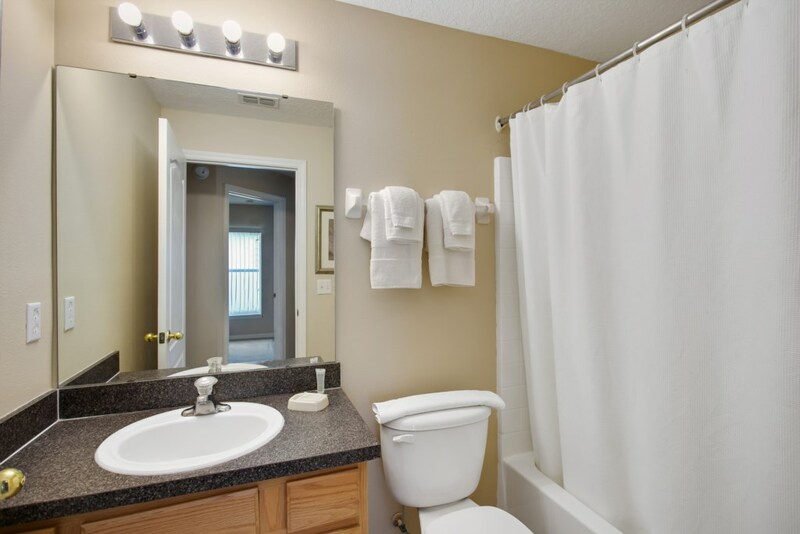 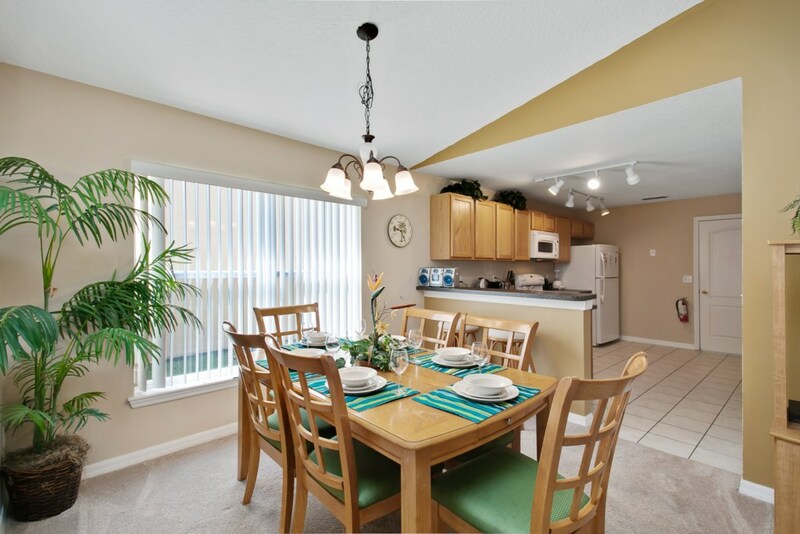 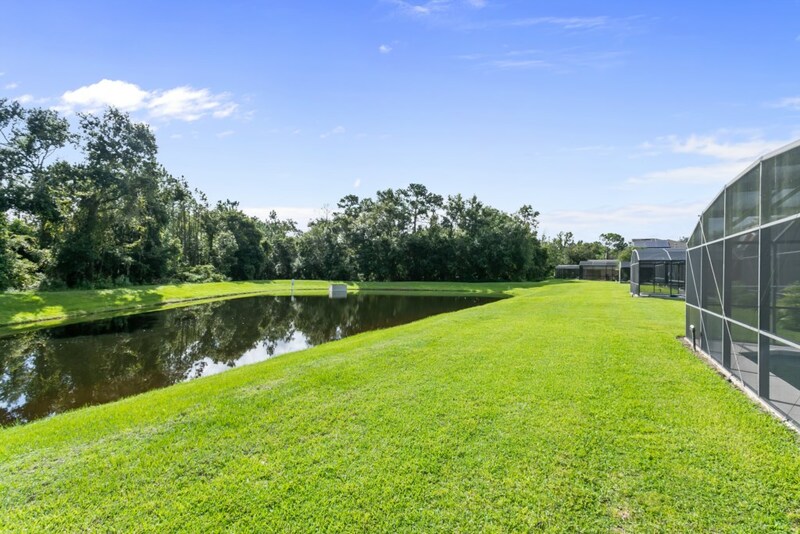 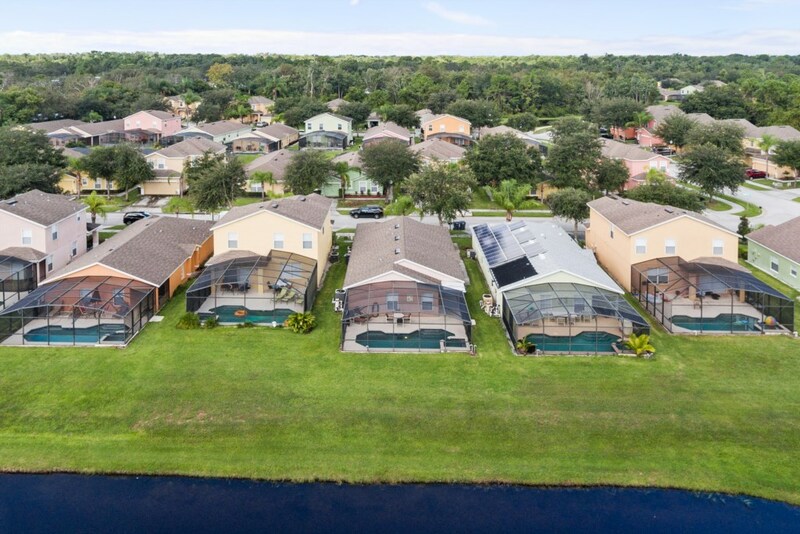 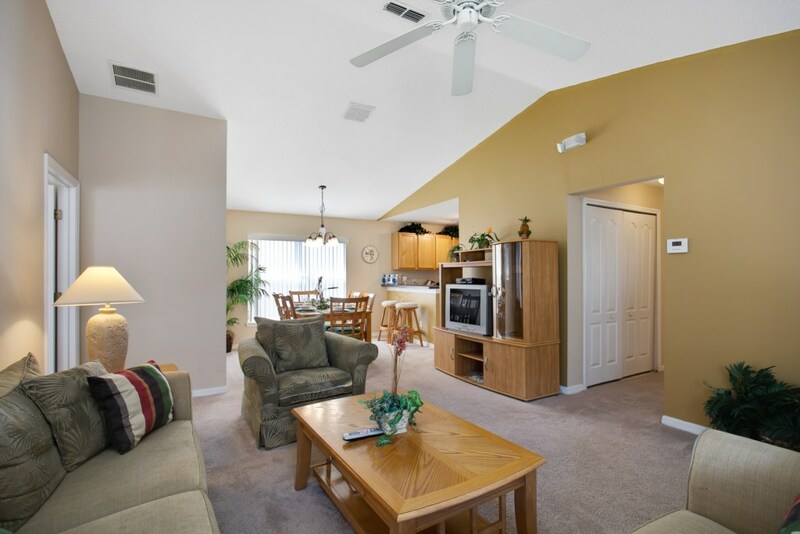 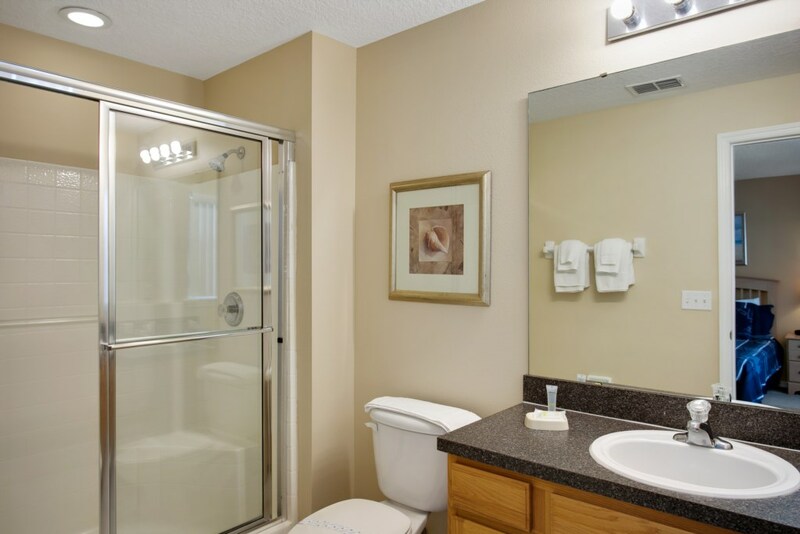 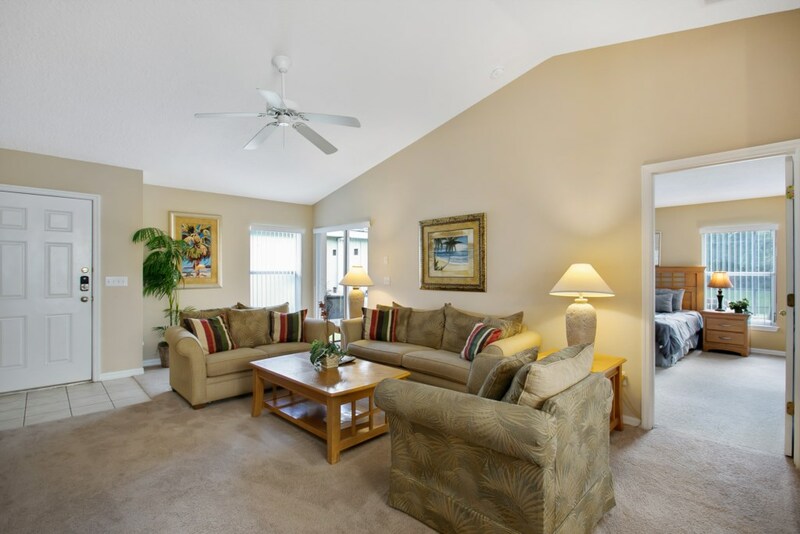 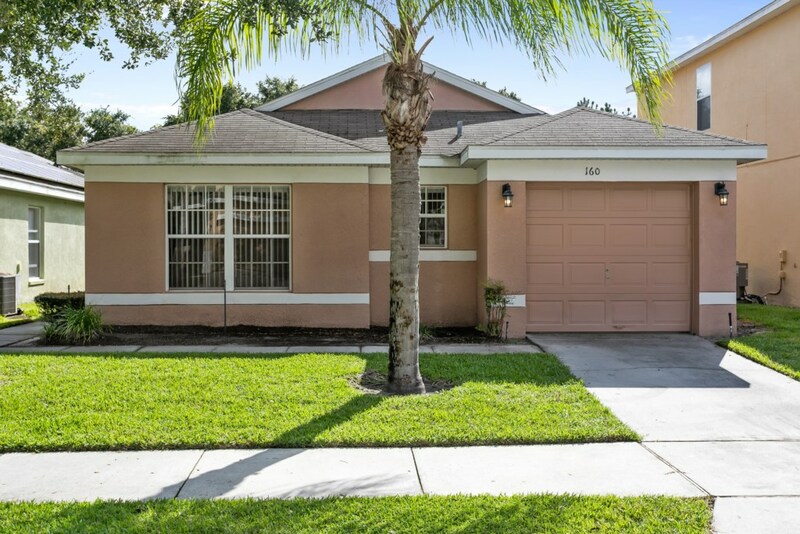 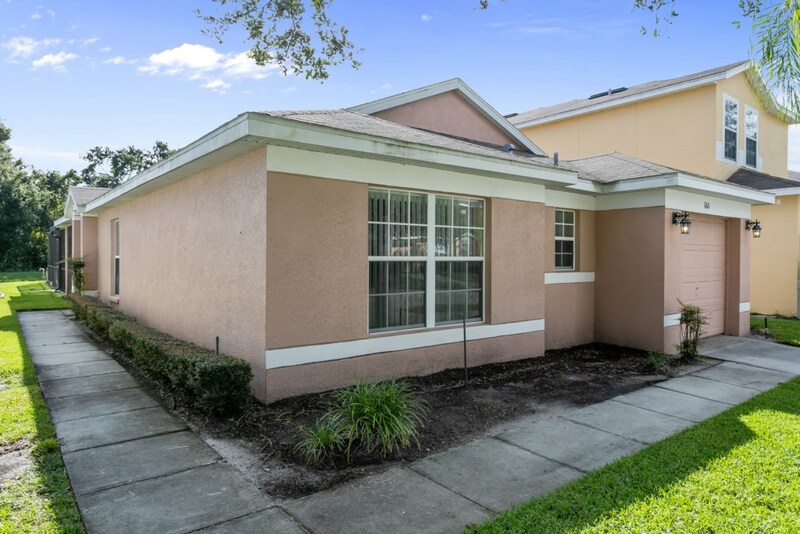 It is only 12 miles to Disney World theme parks and is located close to local shops and restaurants and close to the I-4 enabling an easy commute to the Coast. 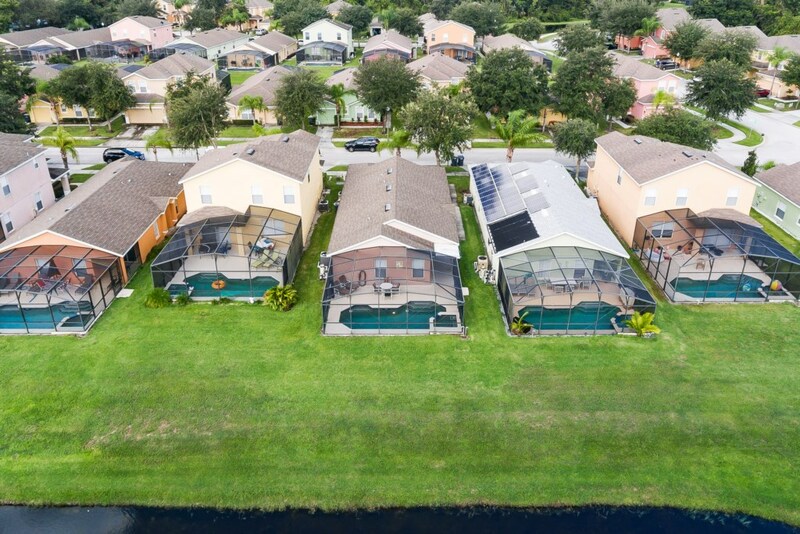 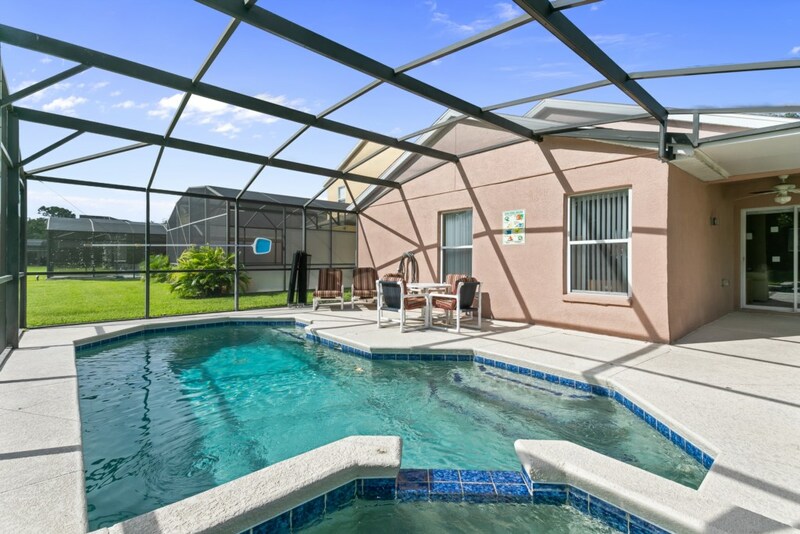 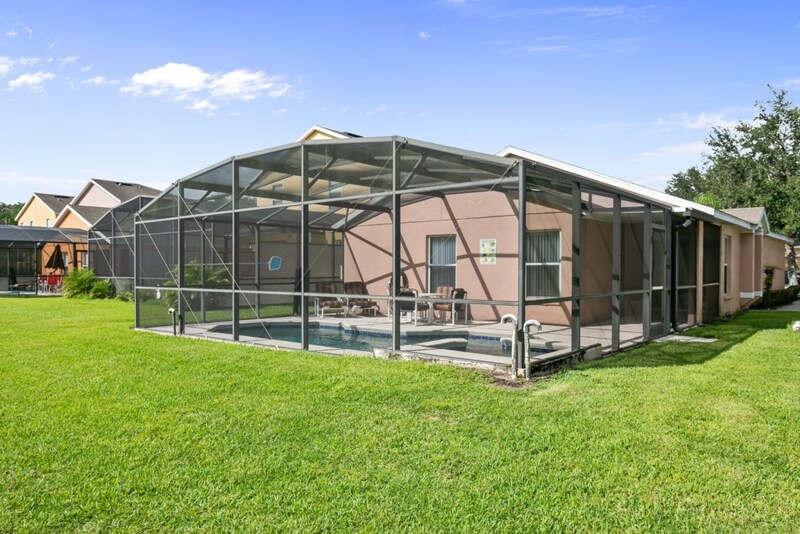 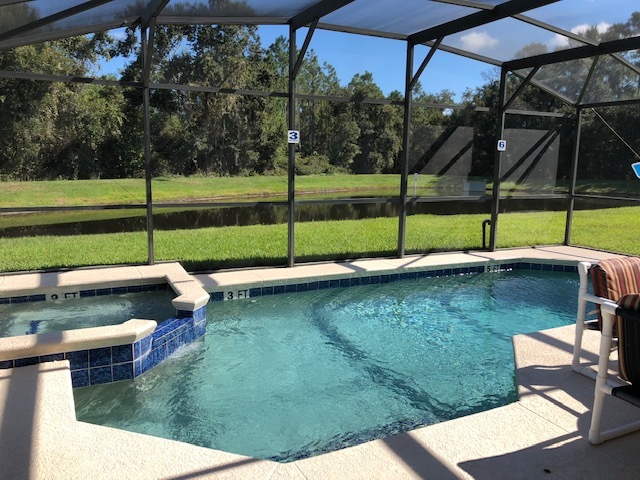 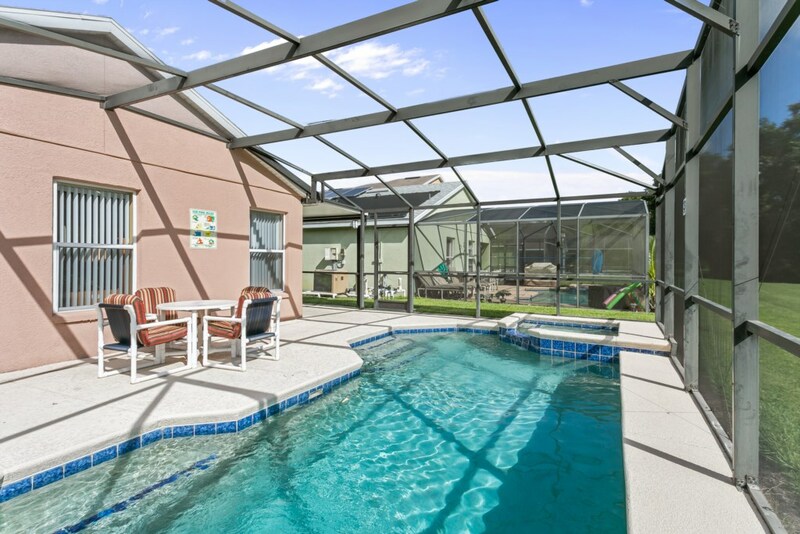 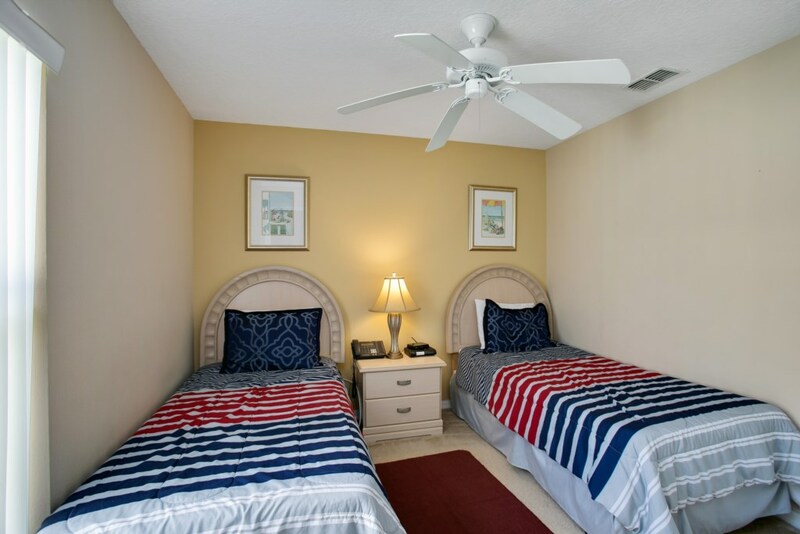 This vacation villa has a pool deck to cool off after an exciting day at SeaWorld, Universal, Animal Kingdom, Hollywood Studios, Magic Kingdom or Epcot. 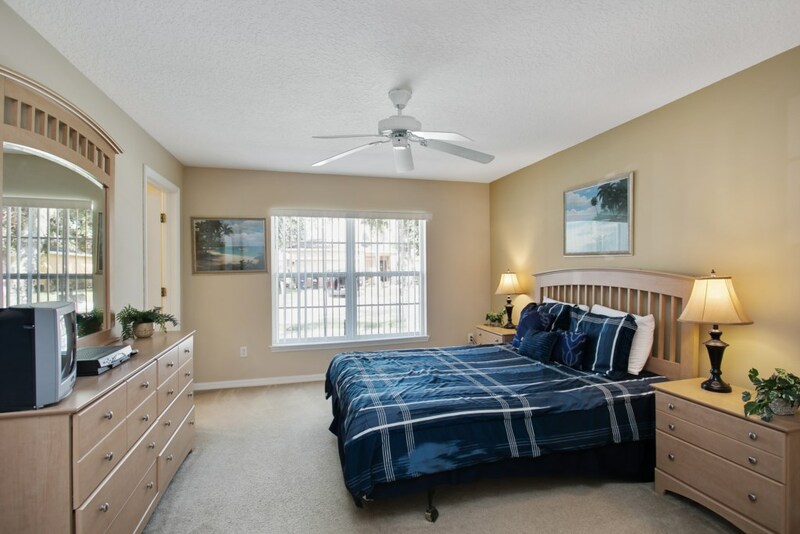 With a large King Master Bedroom and Queen Bedroom, both with en-suite Bathrooms, and a further twin room, this home has a place for everyone! 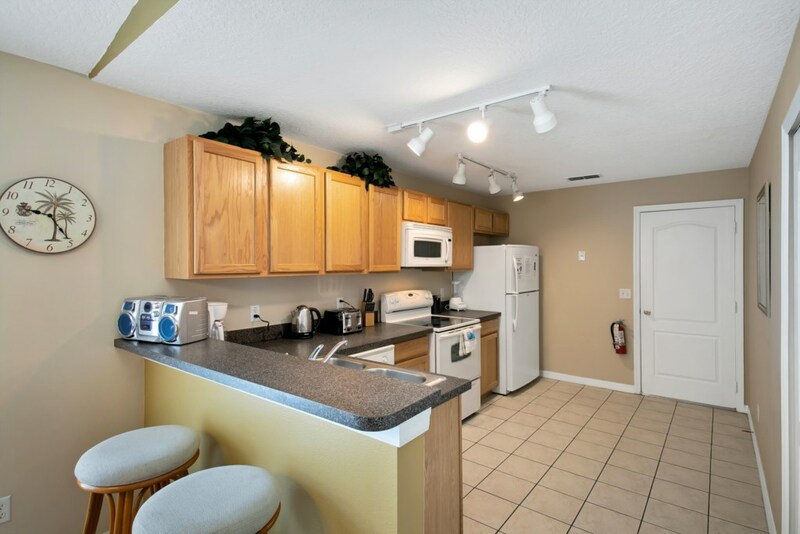 A complete kitchen with all cookware and laundry facilities on site with linens and towels provided - what more could you need. 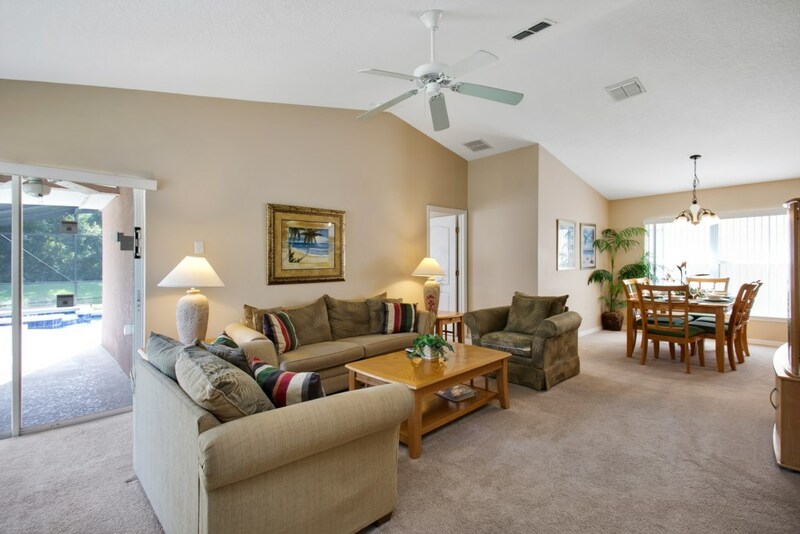 This spacious 3 bedroom holiday villa can comfortably accommodate up to 6 people. 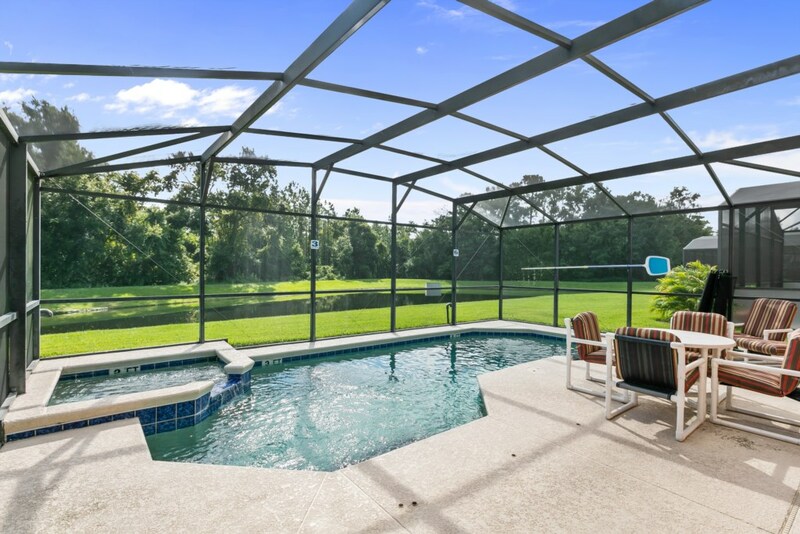 The best part of this vacation home is the view of the lake from the swimming pool or from the covered Lanai. 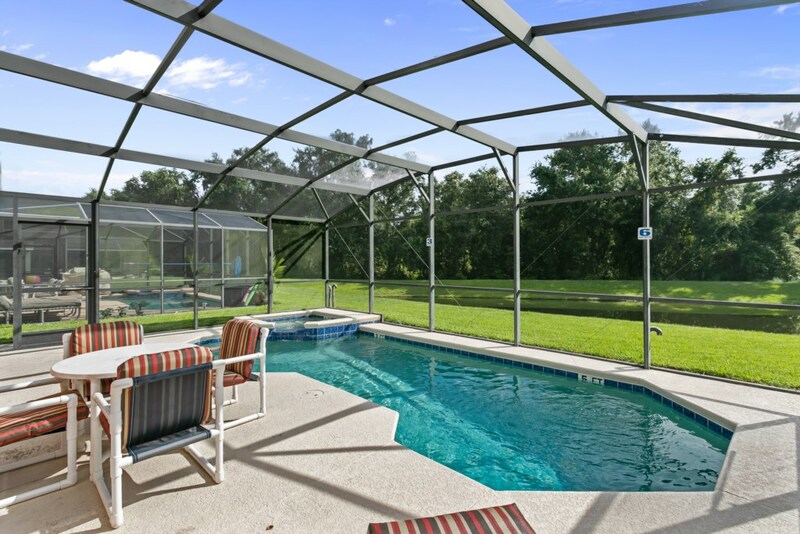 A safety fence surrounds the pool to protect our young guests. 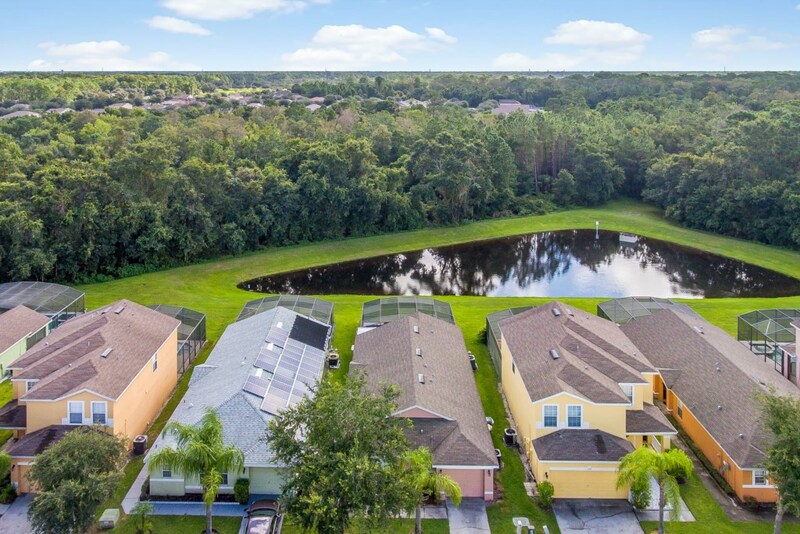 There is lots of nature to soak in under the beautiful Florida sky. 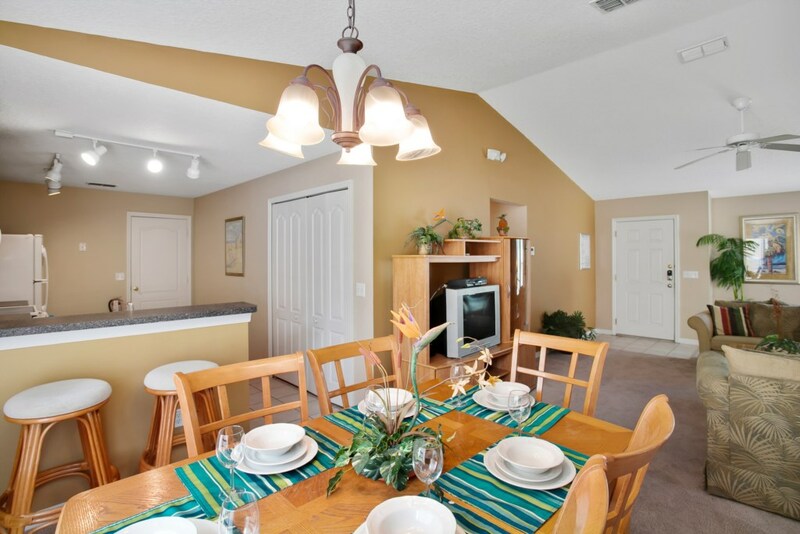 Simply relax from dawn ‘til dusk, or travel 10 minutes to World Drive, the entrance of Disney World!